Baby Beeps is a bouncy, interactive baby development class that focuses on early language acquisition. Every class is a fun-filled adventure through imaginary ‘Baby Land’ with wacky characters, lighting effects, cool props and parachutes that you won't see anywhere else. 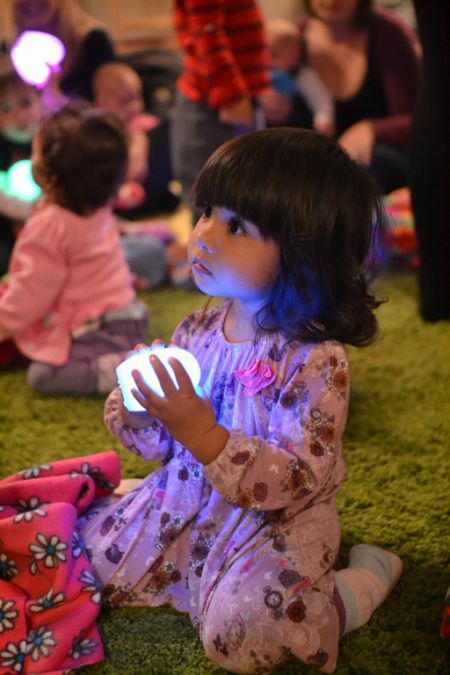 Babies are taken on a themed journey in a warm, sensory inspired room, guided by friendly Hartbeeps staff. Set to music and nursery rhymes, props and accessories will help your baby develop their confidence and allow an even stronger bond between baby and adult to form. The class is set to a funky soundtrack of original baby songs, remixed nursery rhymes and lullabies. From the everyday to the truly spectacular, everything we do in Baby Beeps is magical. You can book the 6 week term for £75 (a saving of £15) or buy a single session for £15.